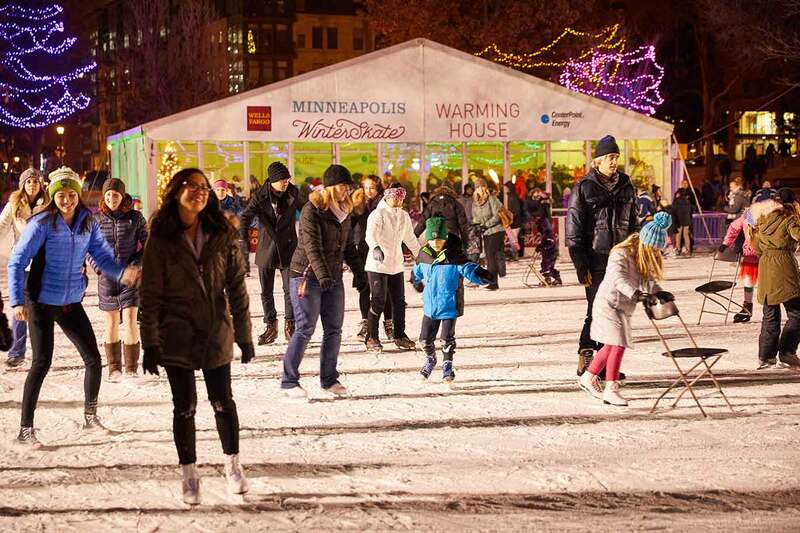 Wells Fargo Mpls WinterSkate in Loring Park (1382 Willow Street, Minneapolis, MN 55402) offers you a chance to skate under the downtown Minneapolis skyline. Join us for one of Minnesota’s favorite winter activities. The skating rink will be open once again during the 2018-19 winter season beginning November 23 and running through the beginning of March. Skating on the rink is free, and complimentary skates are available during warming house hours on a first-come, first-served basis. Sizes and quantities vary. In the event of inclement weather (heavy snow or a combined temperature and wind chill of 20 degrees below zero), the warming house will be closed.